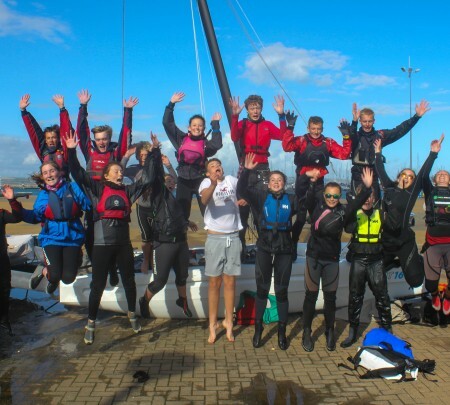 The Andrew Simpson Sailing Foundation has launched its second round of formal grant giving, allowing charities and not-for-profit sailing initiatives and organisations across the world to apply for a grant of up to £10,000. The process will be open from Thursday 1st October- Monday 02nd November 2015. Download your October grant application form or request one by contacting the ASSF grants team at grants@andrewsimpsonsailing.org. Each application form will be assessed by the Foundation’s Impact committee to ensure the projects are sustainable, are in line with Andrew Simpson’s own values and achievements and reflect the aims and objectives of the Foundation, transforming children’s and young people’s lives through sailing. So far in 2015 the ASSF has supported 20 different projects across 6 Countries including: England, Scotland, Sweden, South Africa, Bermuda and Australia. The total money granted so far exceeds £200,000. ASSF CEO, Richard Percy said “we are really pleased to be launching another round of grant giving. The first round saw some fantastic projects awarded financial assistance to really help develop grassroots participation in sailing. I am excited to see the different types of applications we receive during this round, and hope that we can work with even more countries to continue to inspire those aged 5-24 and promote the sport across the world”.